Like I said a couple weeks ago: it's gotten hard to book a room at Disney, let alone find one at a discount rate. This was making me antsy for marathon weekend. Generally I would stay at Pop Century as per usual, but what would Disney charge this time around? Wine & Dine weekend room costs are definitely not rock bottom. Would I be able to get a room for only two nights? I began to ponder an option that's been on my mind a lot lately: renting DVC points. As much as I'd love to actually join the Disney Vacation Club, the... entry fees? ...down payments? ...initiation fees or whatever you call them are just too high for me. Points via rental, however, are potentially within my reach, and as Pat and I have discussed trying to stay at the Polynesian sometime point rental has been on my mind. I did a little research, checked out some potential pricing, agonized and obsessed for a requisite period... and decided to try an experiment. I put in a request through a dedicated DVC points broker for a studio at either Animal Kingdom or the Boardwalk (two of the cheapest available considering I didn't want OKW or Saratoga) for Wine & Dine Half Marathon weekend. Annnd got rejected. Not only got rejected, but was told that there were no DVC rooms available whatsoever for that time frame. Daaaaaamn. See what I mean about snagging rooms nowadays? Good thing I already have a room at Pop! That was apparently that. But I couldn't shake the feeling that DVC points rental was a good fit for me. While there are risks involved - the broker I worked with does not allow for cancellations (unless you want to buy outside insurance) and payment is required up front. But the pricing is better than what you can get directly through Disney and after a decade of staying in values with the occasional moderate thrown in for fun I am itching to try out some deluxe resorts, y'know? So I took a leap: I requested the same AKL or BW studios for marathon weekend. Once again, no dice - BUT there was a Kidani Village studio available. It was more expensive by about $100 but still - a deluxe resort, Sanaa and Jiko and the savanna all there for the taking, the amazing ambiance an extension of DAK, my favorite park... A couple hours of pondering and a very necessary Twitter poll, and I took the room. In truth, this doesn't really "save" my money, per se - if I waited patiently for Pop's rates to come out they'd probably be $100 - $150 cheaper total. But... for Pop. And I love Pop, but I have a feeling Kidani Village is going to compare favorably. I can't wait to find out! 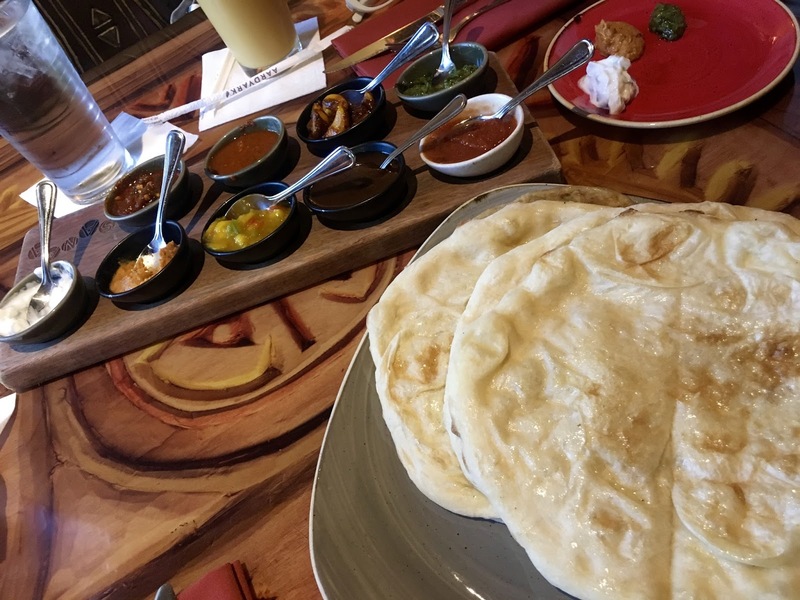 Save me some naan from Sanaa! Have you ever rented DVC points? Would you like to loan me $17,000 so I can join? Did you go through David's? I have an affiliate link with them so feel free to use that next time ;) I've actually rented through them a lot myself. One thing I've noticed is that they seem to be getting new rentals all the time. Most times I put in for something I was told there was no availability initially, but I asked to be put on a wait list and I usually got what I wanted within 1-3 weeks. Also, are you more than 7 months from your trip? A lot of availability opens up at the 7 month mark. Yup, I used David's. Interesting! They didn't mention a wait list. Definitely send me the link! "Unfortunately due to the continual high demand for points we do not have a Member that has the points to be able to secure your reservation. As per DVC policy, we must use a resort specific Member to book reservations 7-11 months out. At this time, we do not have an Saratoga Springs Resort Member with the points to secure your room. We do have Members joining on a daily basis (all throughout the day) and if you would like we can place your reservation request in the queue to wait for the points. However I would like to be 100% transparent and let you know that there always the possibility of the accommodations selling out before we get the points. We have been very successful in securing reservations for those that have waited but the Disney Vacation Club inventory does change on a daily and sometimes hourly basis. If you would like to keep your request on file we would be more than happy to do so."